Start by pre-heating your oven to 375 and pull your crusts out of the fridge and set them out on the counter to take the chill off. They will be too hard to work with if you dont. 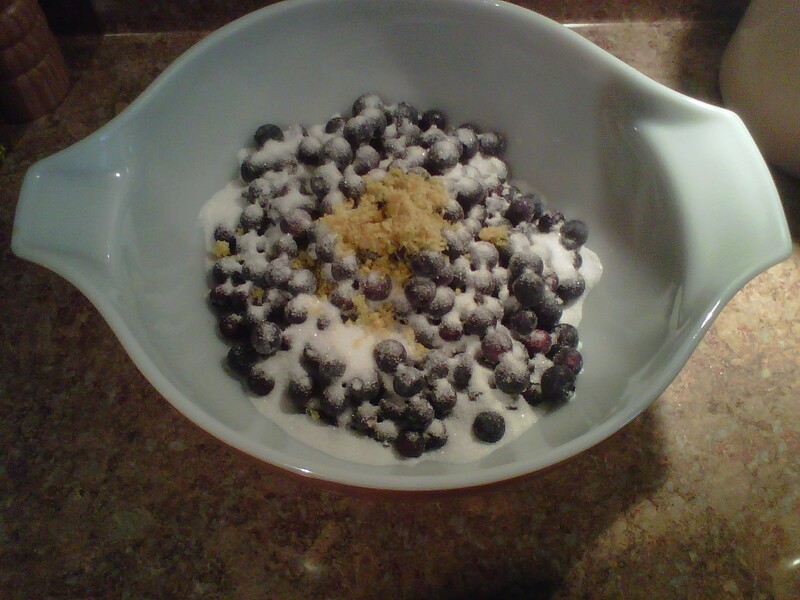 In a large mixing bowl, combine blueberries, flour, sugar, and lemon zest. I used about a tablespoon of zest which was far more than what the recipe called for. I really love to use citrus zest in most recipes. It wakes up all the other flavors in your dish. If your berries are frozen you will need to let this mixture sit out for about 20-30 minutes just to let them thaw out slightly. Its totally fine that they will be icy or slushy looking. 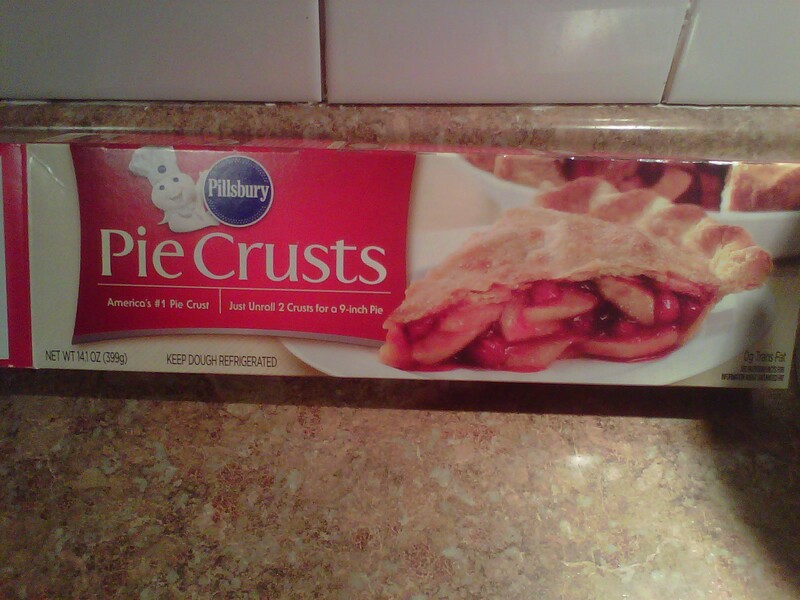 During this time, you can get your crust going. 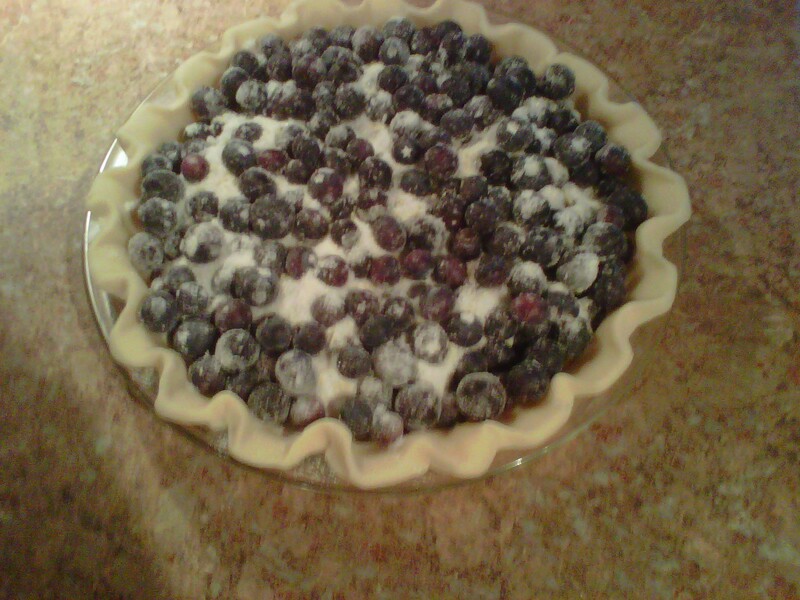 If your berries are not frozen you really dont need to let them sit out so try to have your pie crust ready to go in your pie plate. 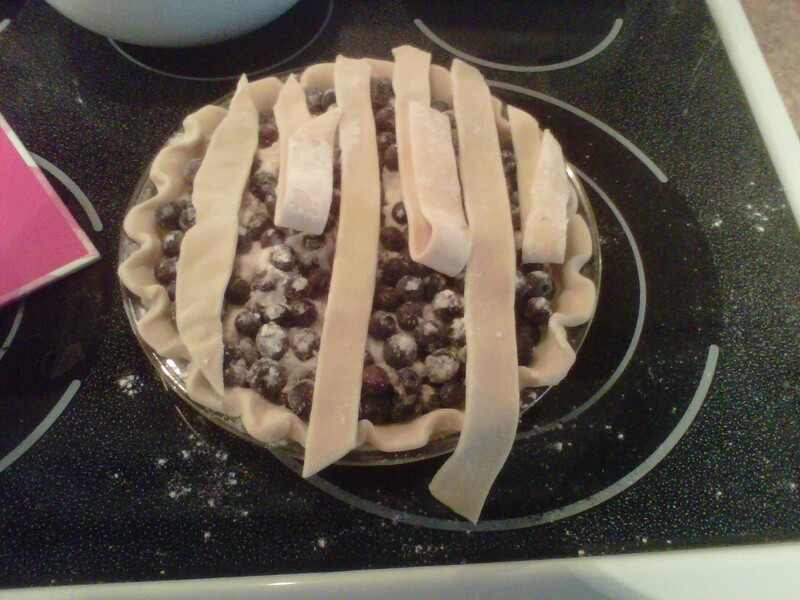 Take out one of your crusts and unroll it into your pie plate. It will hang over the edges slightly. Next go ahead and pour your filling in the shell. Its like a little preview of what is to come. Yum. Amen. 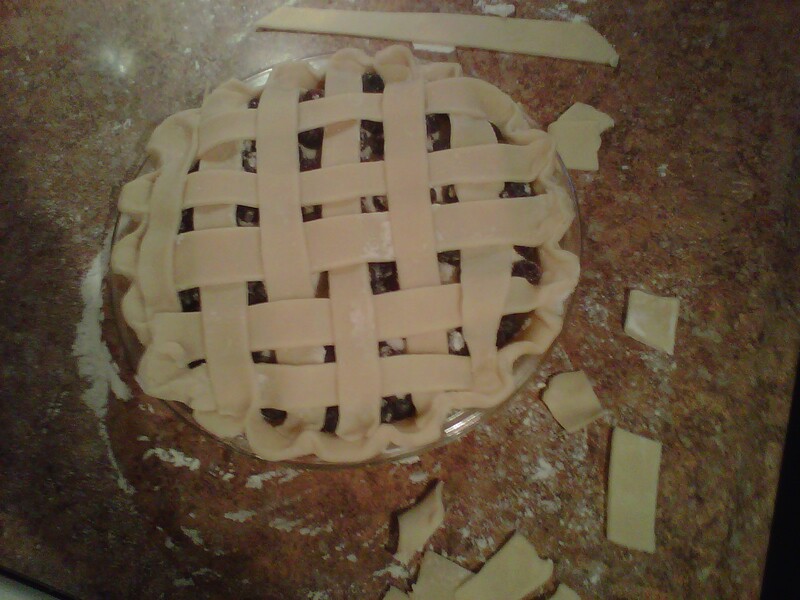 I decided to do a lattice top after I had already fluted the edge of my pie. 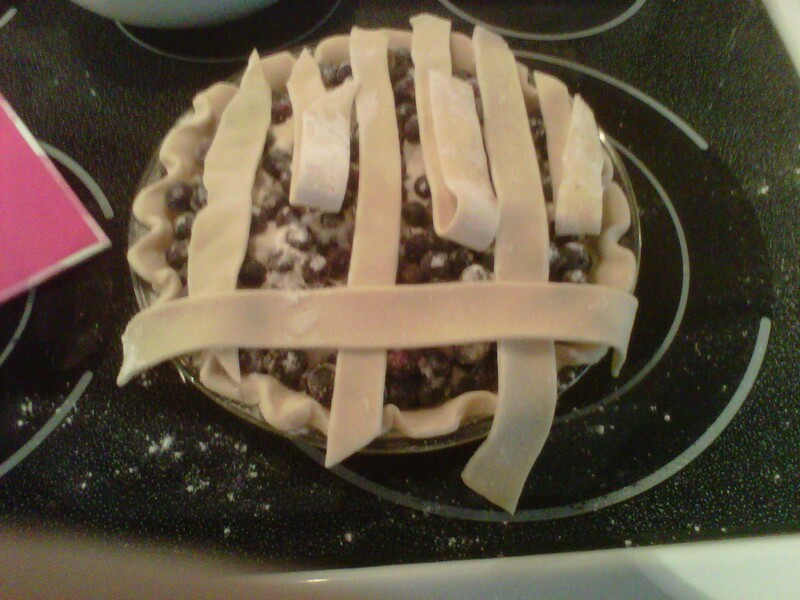 Technically you should do a plain top on a fluted edge pie and a lattice top on a plain edge pie… but I have always been a rebel. Rules Shmules…er whatever. I made it work! 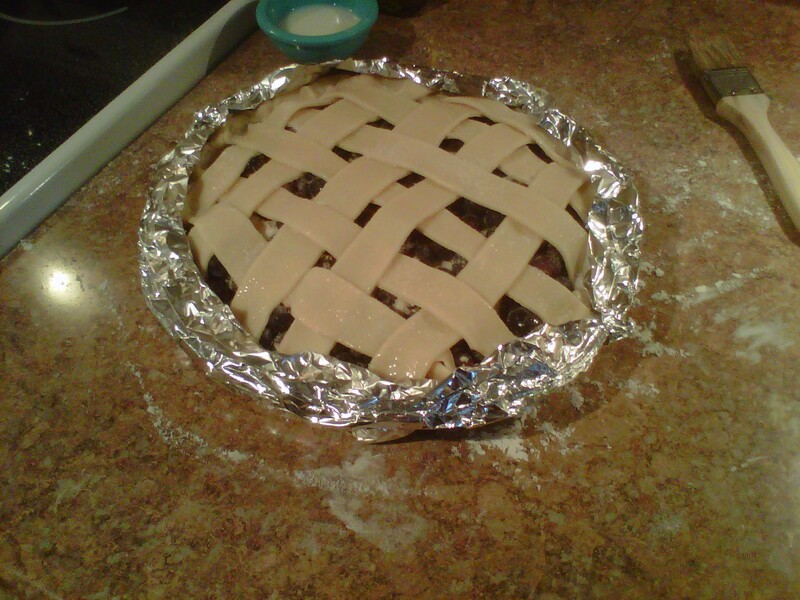 You take your second crust out and sprinkle some flour on the counter top. Unroll it and lay it out. Using a pizza cutter or knife, cut the crust into long strips about an inch or so wide. 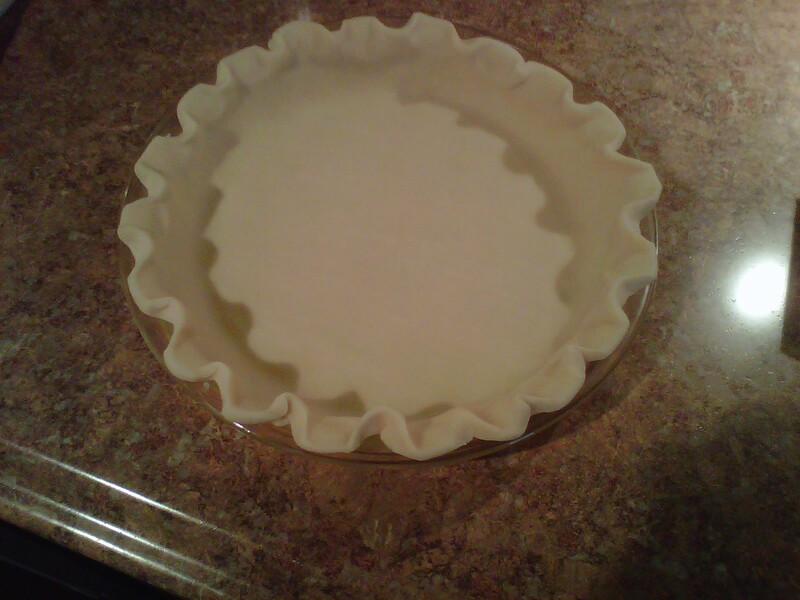 Lay them across the top of the filling vertically and and let the strips hang over the edge. Lift up every other strip and let them lay loosely upward. Lay the other strips across the filling horizontally and then fold the vertical strip back over. Keep this up until you have the look you want. Listen… mine is not perfect but it was good enough! Once you have the top looking decent, you need to trim up the strips so they dont continue to hang over. I just used a knife to trim them and then I tried to press the ends into the sides of the bottom crust. Sometimes I could fit a strip in between a fluted part of the edge, sometimes I had to be a little more creative… but this is how it turned out. 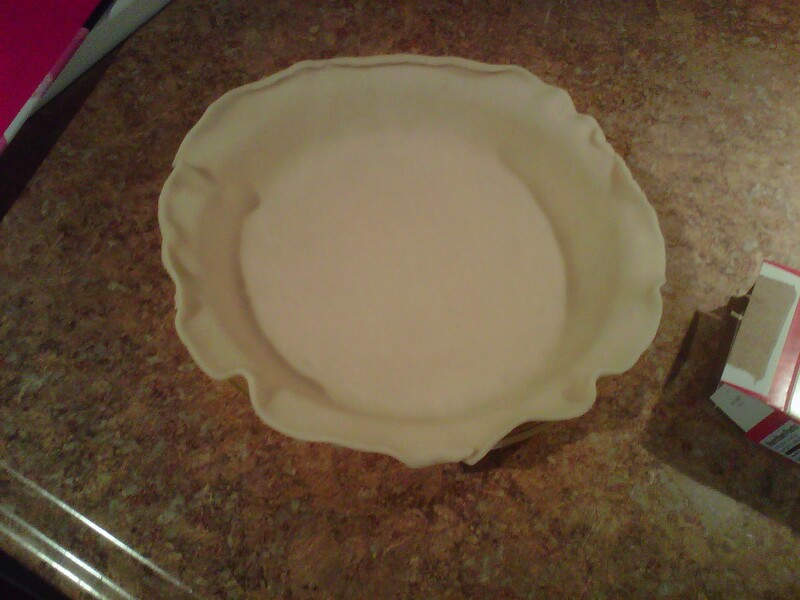 When you bake a pie, the edge of the crust will usually brown much more quickly than the top. To prevent a burned edge, cover it in some strips of tin foil like this. On the top of the crust I brushed a little bit of milk and sprinkled some additional sugar to make it shiny and pretty. Then it was into the oven for about 25 minutes. After that, I took the foil off and baked it for another 30 minutes so everything could brown up. 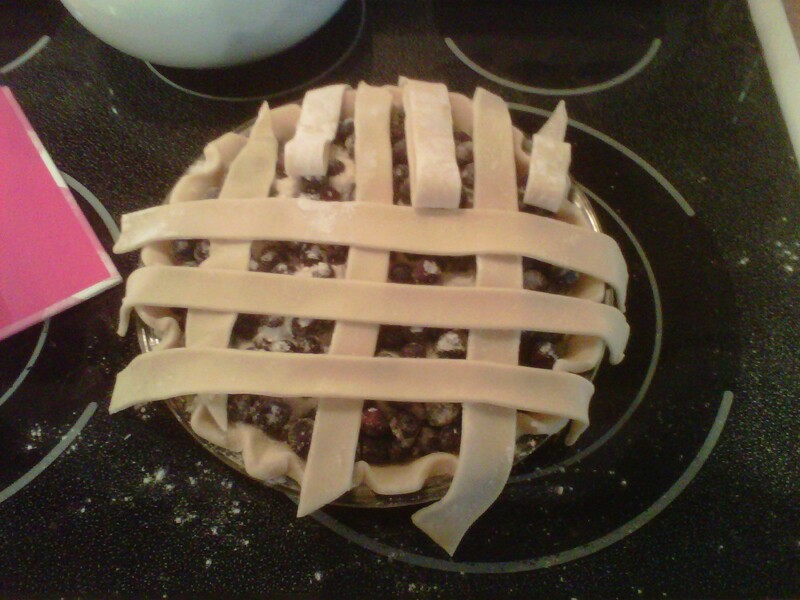 The filling should be bubbly and juicy looking if its done. Let it cool to room temperature and serve it later with vanilla ice cream. So good!! 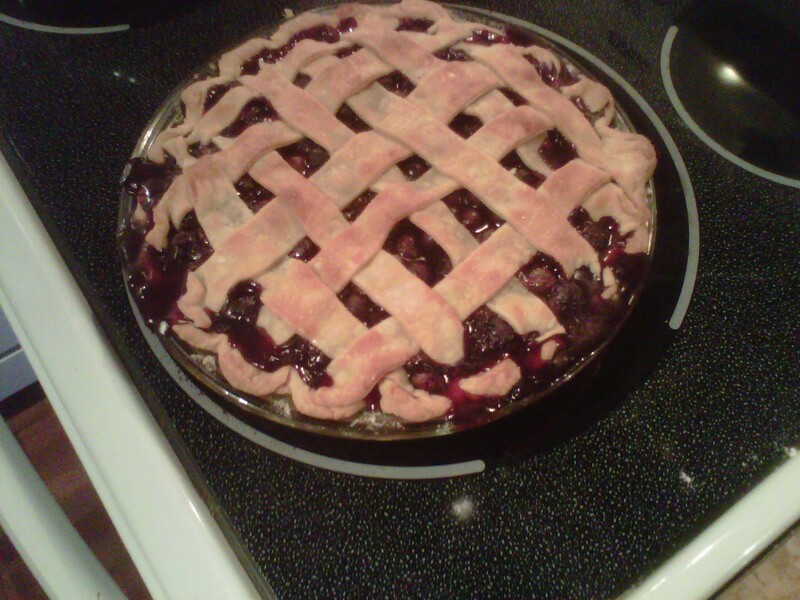 This pie was a big hit for me and I hope it will be for you too!